Versions of this article were co-published by TIME, NBC News, Public Radio International and the Buffalo News. As of April 30, the FEC’s current four commissioners have been on the commission for a total of 32 years longer than they should have been. In separate interviews Thursday with the Center for Public Integrity, each of the four “holdover” commissioners — who may continue to serve until President Donald Trump and the U.S. Senate replace them — confirmed that they have no immediate plans to step down. “If the commission loses a quorum … it obviously affects the public,” Hunter said. 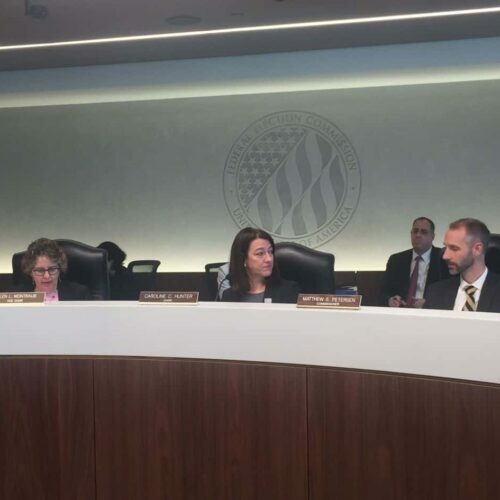 Thursday’s commission meeting — the first in the bipartisan agency’s sparkling new headquarters near Washington, D.C.’s Union Station — provided a clear indication that some commissioners’ patience with one another, like their terms, has also expired. When Weintraub suggested that Hunter could have adjusted the commission’s April 12 public meeting to accommodate her trip to Lithuania for an elections conference, Hunter would have none of it. Caroline Hunter (right), Republican chairwoman of the Federal Election Commission, shows children how to use her gavel during “Take Our Daughters and Sons to Work Day” on April 26, 2018. Democratic Vice Chairwoman Ellen Weintraub (left, seated) looks on. Standard, if informal operating procedure is thus: U.S. Senate majority and minority leaders recommend prospective FEC commissioners to the president. The president, in turn, nominates the Senate’s FEC designees. The Senate then confirms the nominees. 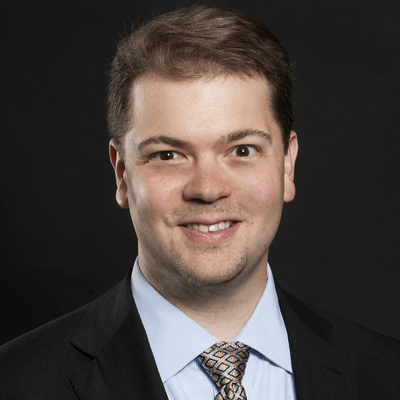 While Trump routinely rails against Democratic obstruction of his various executive branch nominees — “disgraceful!” — the lack of new FEC commissioners is a function of Trump failing to nominate anyone to the agency save for Texas attorney Trey Trainor. Trump first nominated Trainor, a Republican who supported Trump’s presidential campaign, more than seven months ago to replace Petersen, Trump’s failed pick for a U.S. District Court judgeship. The U.S. Senate, too, has largely ignored the FEC. Also non-responsive: Sen. Chuck Schumer, D-N.Y., who as Senate minority leader typically offers Democratic FEC nomination recommendations to the president. Two government officials familiar with the FEC nomination process, however, say Schumer’s office has this year forwarded at least one FEC recommendation to Trump.